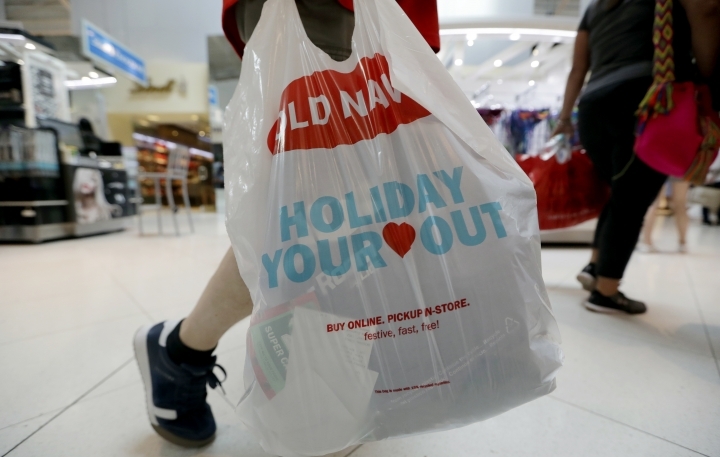 PROVIDENCE, R.I. — The physical rush of Black Friday and the armchair browsing of Cyber Monday are increasingly blending into one big holiday shopping event as more customers buy items online and pick them up at brick-and-mortar stores. Adobe Analytics reported Saturday that customers' online orders that were picked up at stores increased 73 percent from Thursday to Friday. It's a sign that retailers are increasingly merging their online businesses with their physical stores. Walmart, Kohl's and Target are among major retailers that are expanding the number of stores where shoppers can pick up online orders. The Adobe report says Black Friday saw a record of more than $2 billion in sales done from smart phones alone. The report also says that online prices on Thanksgiving were as low as on Black Friday.